With 10 colour plates by Sima Elizabeth Shefrin, Latkes (Nick Books 2007) is an illustrated work of adult fiction by folk music icon Bob Bossin, co-founder of Stringband. The text weaves together a revisionist telling of a 16th century Jewish folk tale and a 20th century conflict between an "Old country"; father and his Canadian son. "Twenty-five years ago,"; says Bossin, "I took a tape recorder around and interviewed a dozen of my old aunts and uncles. Latkes would not exist but for those recordings. 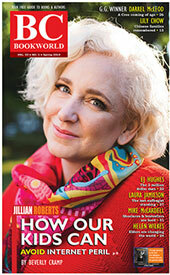 "; Praised by Miriam Toews, Latkes received second prize in the Antigonish Review's 2007 Sheldon Currie Fiction Contest. In conjunction with his one-man musical, Songs and Stories of Davy the Punk, veteran folk singer Bob Bossin is releasing Davy the Punk (Porcupine's Quill 2014), the hitherto untold story of his father's life in the gambling underworld of Toronto during the 1930s and '40s. Bossin writes: "My father, as I knew him in the 1950s, was a quiet, conservative man who booked acts into night clubs around Ontario. But before that, in the 1930s and 40s, he had been "Davy the Punk,"; his nom de guerre in the gambling underworld. Sufficeth to say, Davy was not a man who kept a diary; "Bobby, what you don't say can't be held against you,"; he warned me. But the Attorney General of Ontario and the cops, who doggedly pursued my father from the late 1930s on, wrote volumes about him. Bad for him, good for me. "Davy died in 1963 when I was 17, but after a chance encounter in a Toronto deli alerted me that my dad had once been Davy the Punk, I began to follow his trail. I talked to his old pals, tracked down old bookies, cops, judges. I haunted newspaper morgues and archives, placed Freedom of Information requests. It is amazing what you can find out about a secretive man who died 50 years ago. In the course of following Davy's trail, I discovered the dark side of Toronto the Good and a missing chapter in Canadian Jewish history. And all along the way I uncovered outrageous scams and schemes perpetrated by characters straight out of Damon Runyon or The Threepenny Opera." 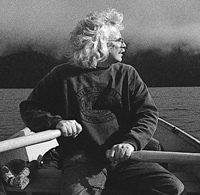 In addition to his many songs, Bossin has also written non-fiction, Settling Clayoquot (1981), and the play, Bossin's Home Remedy for Nuclear War (1986). His songs include The Maple Leaf Dog, Dief Will Be the Chief Again, Show Us the Length, Tugboats and You Wanna Marry Me? [BCBW 2013] "Local History" "Theatre" "Jewish"
"In Toronto, where I grew up, a white Christmas was even money. A white Chanukah was a long shot. However, in 1960, on the first night of Chanukah, it snowed like hell. But for that snowstorm, I wouldn't know the story I am about to repeat; I would not have known that my zeyde had an encounter with the Baal Shem Tov (This was truly miraculous, since the Besht died 104 years before my grandfather was born); and I would never have gone to work for my Uncle Davy, making book. "Prior to that night, I remember Davy mainly for his cuff links, which had gold horseshoes affixed to a buffalo nickel. The rest of him was invariably hidden behind a racing form. Uncle Davy was a fixture at family occasions, but a silent one. My aunts said he was shy. He wasn't. Some judged him misanthropic, saying he liked horses better than people, but that wasn't so either. Davy's silence was, as I would come to know, a corollary to a life spent outside the law. Once when we were alone, I asked him an indiscreet question. He looked around the empty room, put a finger to his lips, and whispered, Bobby, don't trust your shirt. But that snowy Chanukah night, Uncle Davy broke his silence and held us as spellbound as if he were Sholem Aleichem himself. From then on, whenever I could, I stuck to him like glue. My Aunt Celia used to say, 'When you leave school, your shoes take you out looking for a job. Where they stop, that's where you spend your life.' My shoes took me to Uncle Davy."